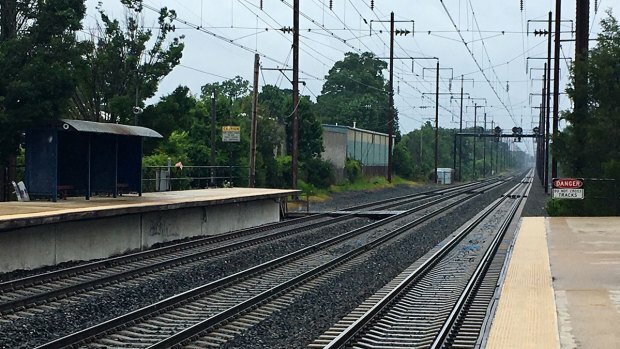 Letters from the federal government say the MARC train system is at risk of failing to meet a deadline to install a mandatory safety system. News4's Jodie Fleischer reports. Missing the deadline could have severe consequences because Amtrak, which owns the tracks that one MARC line uses, has said it might limit operations where the system is not installed. 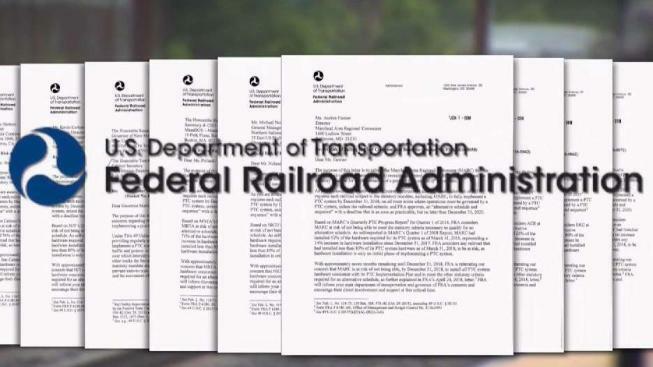 The News4 I-Team obtained a copy of letters sent by the agency to Maryland officials and to 11 other railroads around the country, based on the amount of work they've completed so far on implementing Positive Train Control (PTC), a safety system designed to slow or stop trains automatically to prevent train collisions and derailments due to excessive speed. READ: Letters to 11 Other Railroads Across the U.S.
With PTC, a computer system links hardware installed on the locomotives and on the tracks to keep trains at safe speeds. For example, if a train is approaching a curve too fast and the operator doesn't slow it down, the PTC system would automatically apply the brakes. The federal government has required all railroads to install PTC hardware by Dec. 31, 2018, or at least meet several benchmarks necessary to apply for a two-year extension to get their systems operating. "It's probably well overdue actually," said Michele Carr, who commutes every day from Prince George's County on the MARC train's Penn Line. In fact, Congress ordered the nation's railroads to install PTC a decade ago. The original deadline for completion was the end of 2015. Despite an Amtrak crash that killed 8 passengers in Philadelphia just months earlier, Congress extended the deadline through the end of 2018, after realizing railroads were not going to meet the 2015 date. National Transportation Safety Board (NTSB) investigators found the Philadelphia accident could have been avoided if Positive Train Control had been in operation. "It is frustrating to go to accident after accident that could have been prevented if someone would have implemented an NTSB recommendation," said NTSB Chairman Robert Sumwalt, adding that his agency has made those recommendations for years. That includes a 1996 crash in which a MARC train collided head-on with an Amtrak train near Silver Spring, killing 11 people. The NTSB report from that crash cites a lack of positive train separation control systems as a major safety issue. That was more than 20 years ago. "I think lives are at stake," said Sumwalt. "Any delay in implementing positive train control, from a safety perspective, is unacceptable." But Federal Railroad Administrator Ronald Batory has told Congress he believes 12 railroads, including MARC, are not only at risk of missing the implementation deadlines, but also failing to meet the benchmarks to qualify for an alternative schedule. He said his assessment was based on the railroads' self-reported progress through the first quarter of 2018. Records obtained by the I-Team show MARC still has 26 locomotives to upgrade by December — that's more installations than it completed during all of last year. And it has yet to train its employees, which is also a requirement in order to be eligible to apply for an extended deadline to get its system operating. A MARC spokeswoman declined the I-Team's request for an interview with Maryland's transportation secretary and the MARC director, both of whom received at-risk letters. In a statement, the agency insisted the MARC system is on track to have PTC up and running on the entire MARC system by the deadline. News4 asked Maryland Gov. Larry Hogan if he's concerned about the deadline, since one of the warning letters was addressed to him more than three weeks ago. "I don't know anything about that, haven't seen the letter. I'm not aware of it until you just raised it, but we'll certainly get to the bottom of it and try to get an answer," Hogan said. "They need to step up their game and get it done," said commuter April Goodwin-Gill, who depends on the MARC's Penn Line every day. 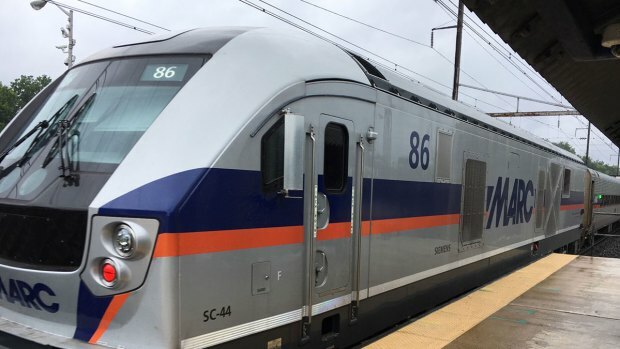 She worries if MARC misses the deadline, Amtrak -- which owns the tracks on which the Penn Line operates -- could prohibit trains that are not PTC-compliant from operating on its tracks after Jan. 1. "Under the present rules, we cannot permit non-compliant equipment on our railroad after the deadline," Amtrak CEO Richard Anderson testified before a congressional committee in February of this year. In written testimony a month later, he said Amtrak, which is already using PTC throughout our area, would decide what to do on a "case by case basis" and assist commuter partners "to reach the deadline or to find viable alternatives to bridge the gap." Carr says that would be a huge problem. "I'm speechless on that; how will we get back and forth to work?" she said. "If that's not enough for MARC to get themselves together then we have a problem." The commuters told the I-Team that with D.C. traffic, the high cost of gas, and extremely limited parking, driving to and from work is a terrible option. They hope MARC delivers the new safety system on deadline. "It takes one time for something to go wrong," said Goodwin-Gill, "and you wouldn't want it to be your child or father or mother to be hurt in an accident because you are dragging your feet."